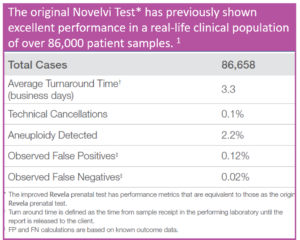 Novelvi® is a non-invasive prenatal test that analyzes cell-free DNA (cfDNA) from maternal blood to check for chromosomal abnormalities (aneuploidy). 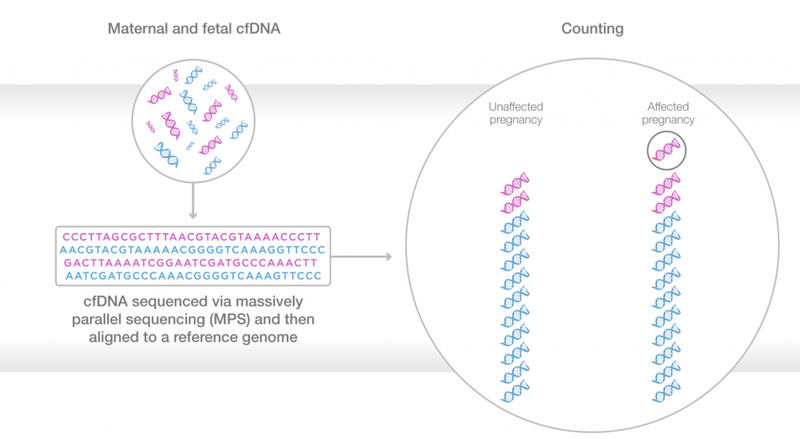 cfDNA are fragments of DNA that circulate in the bloodstream; a pregnant mother has a percentage of her cfDNA that originates from the fetus. As early as 10 weeks into pregnancy, cfDNA may be obtained from the mother’s blood and used to screen for certain chromosomal abnormalities. Each chromosome has segments that are unique to that chromosome, enabling scientists to link or map sequences of DNA to specific chromosomes. 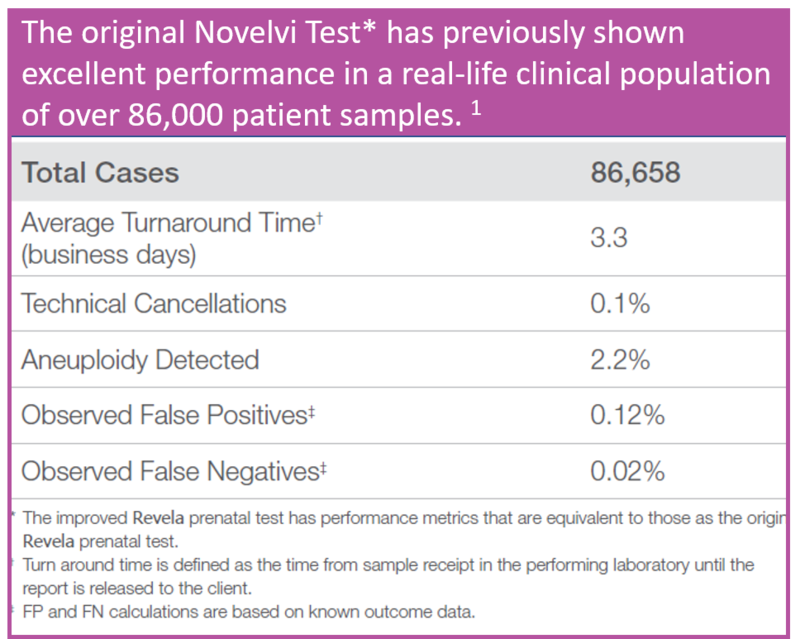 Novelvi® works by sequencing and then measuring the amount of cfDNA that comes from each chromosome. Higher or lower levels of cfDNA mapping back to a particular chromosome may indicate aneuploidy. In NIPT, test failure is essentially an inconclusive result. This can be frustrating for many families and prompts some patients to pursue invasive follow-up procedures in search of a definitive result. Novelvi® helps you avoid this stress by using massive parallel sequencing (MPS) to bring you the lowest rate of test failure and results you can trust. 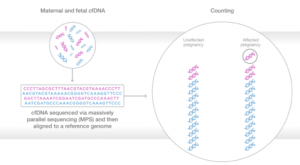 Learn more about cell free DNA testing from the Society of Maternal-Fetal Medicine.